Our large oxidised swimming pool is always holding out a welcome to you to jump in and swim. Depending on the programme you are on, the doctor will advise on the use of the swimming pool. 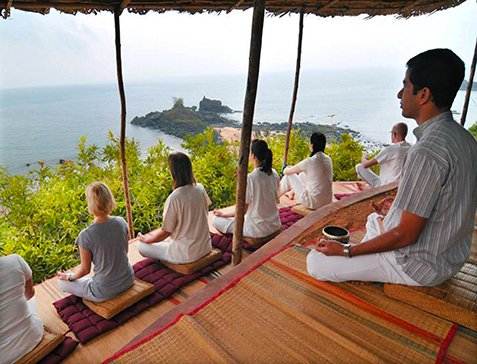 Meditation hill with a coconut thatch roof and wide, terraced, mud packed steps on which participants sit for guided sunrise meditation. This space commands a 180 degrees view of the Om beach and the ocean below. 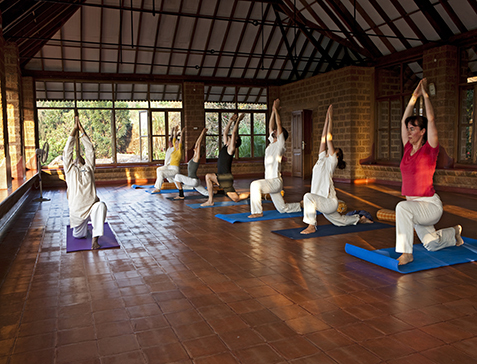 A dedicated center for Asana classes (1600sq.ft). This space is very well ventilated with glass windows on all four sides and a tiled floor. It can be fan cooled. 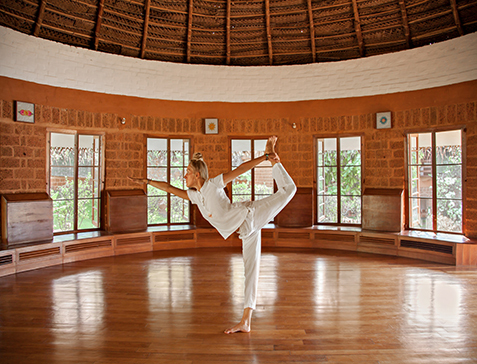 An iconic circular, thatch roofed Meditation Hut (765sq.ft) for Meditation and Chanting sessions. The space can be air-conditioned. 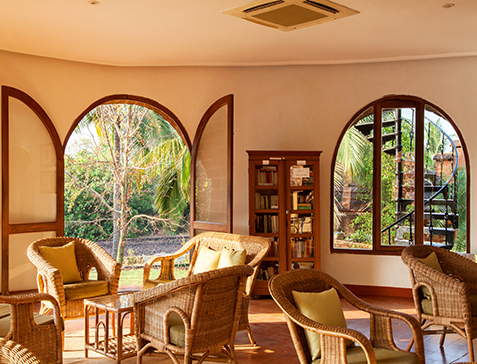 SwaSwara's art studio is a space for creative and mindful expression. Under the guidance of the resident artist, guests can explore and express their creative thoughts through painting, clay modeling or sculpting. The space is adorned with works of art expressed by our guests over the years.